I’ve always been a big fan of SheFinds.com. Their online publication helps busy women everywhere shop the web for the latest beauty and style finds. Plus, they love to write about weddings. 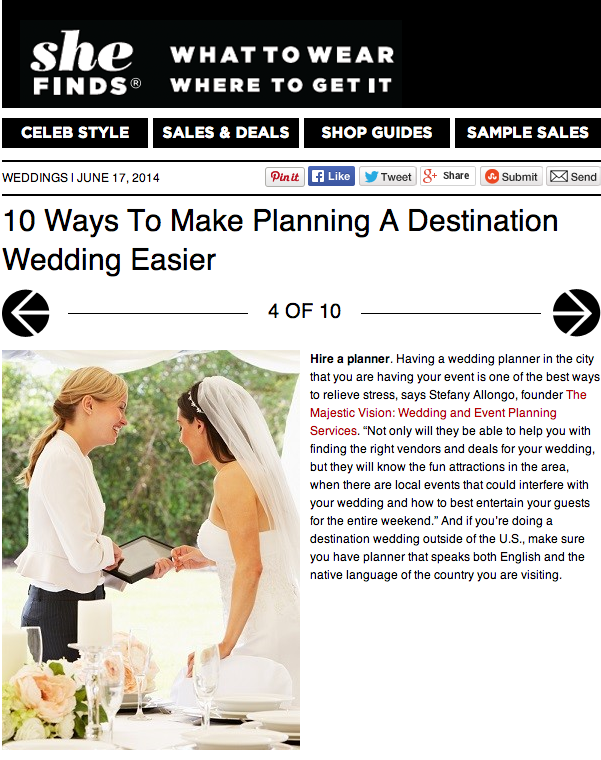 Today, I was fortunate enough to contribute to the article “10 Ways To Make Planning A Destination Wedding Easier“. 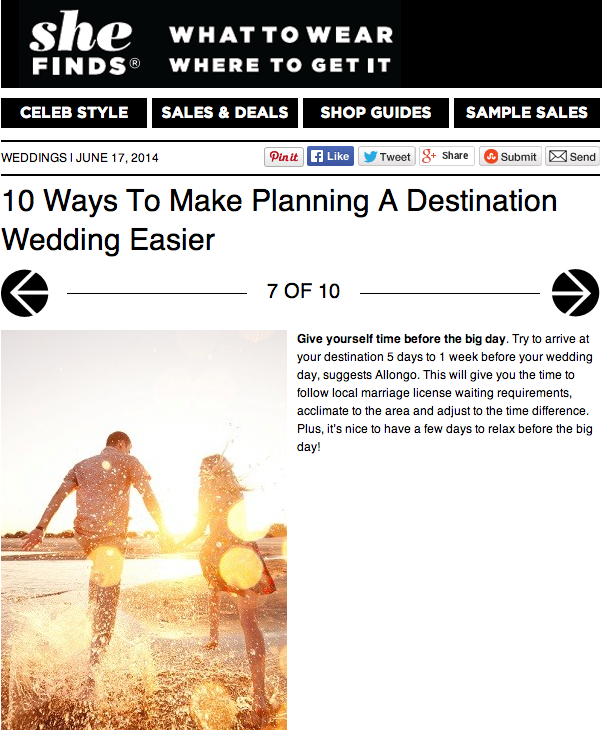 The article is exactly what the title implies – 10 tips to help with a destination wedding. My advise is Tip 4 and Tip 7. Thank you to Linda over at SheFinds.com for the opportunity to contribute.